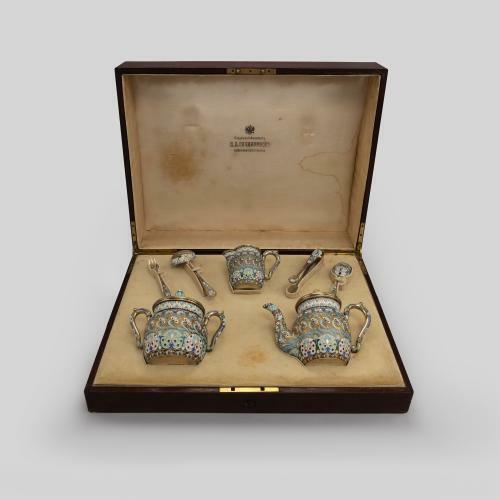 Each piece within this tea set, which features a teapot, sugar bowl, milk jug, strainer, sugar tongs, a fork and a caddy spoon, is decorated in stylised scrolling floral and foliate patterns with pastel-coloured enamels. 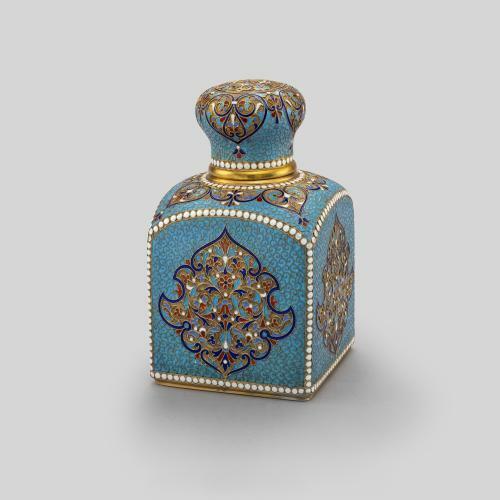 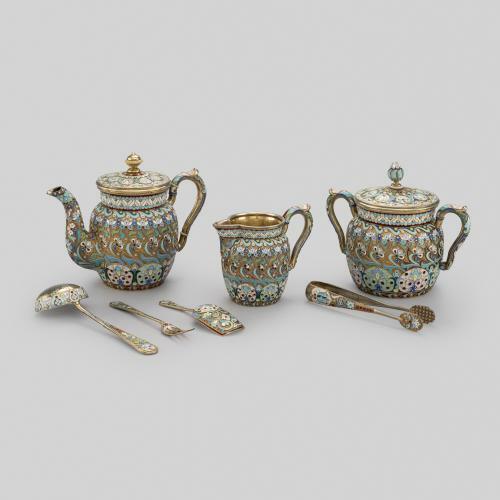 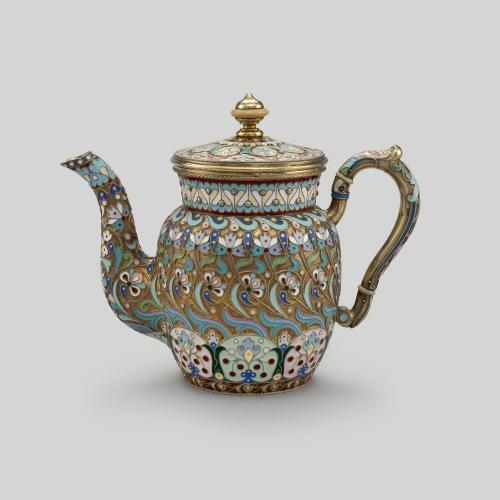 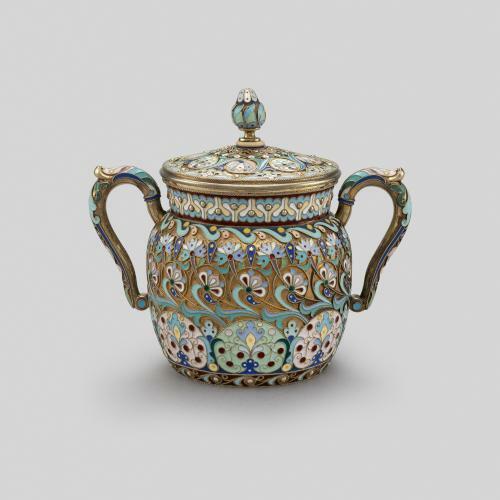 The set was made in the workshop of Pavel Ovchinnikov, a former serf whose company became one of the largest and most important firms producing silver and enamel objects in Russia during the latter half of the 19th century. 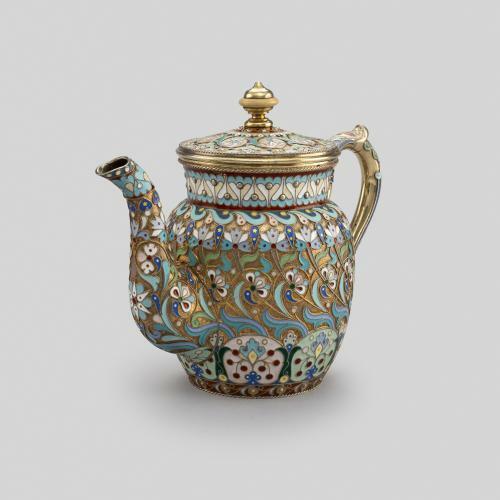 By 1873 it had 173 employees and had established its own school for the training of young craftsmen. 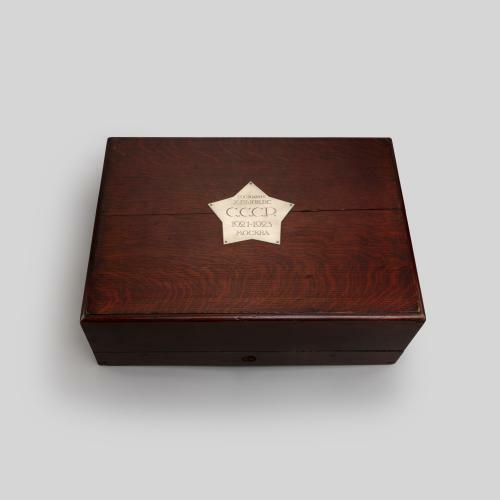 The set is contained in its original fitted box that is gilt-stamped on the lid “Supplier to the Imperial Court, P.A. 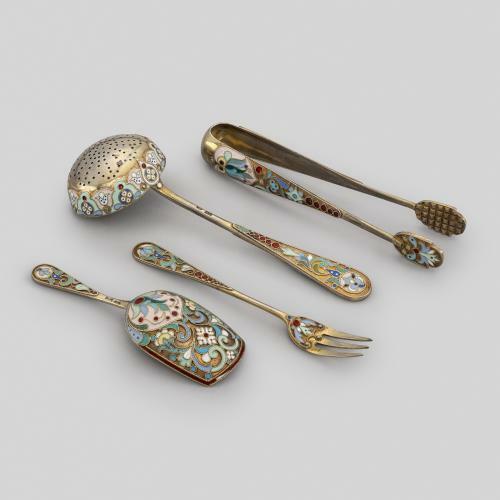 Ovchinnikov, Moscow and St Petersburg”. 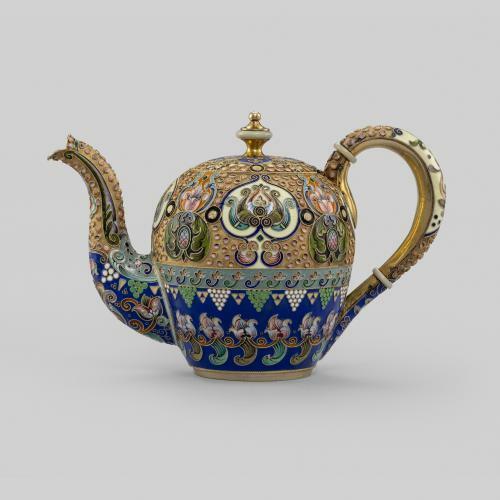 At a later date the outside lid of the box was affixed with a star-shaped silver presentation plaque engraved “To Mr H. Biukes / USSR / 1921-1923 / Moscow.” During the late 19th century, tea sets decorated in bright cloisonné enamels became especially popular in Russia due to the trend for traditional, ‘national’ styles in the decorative arts. 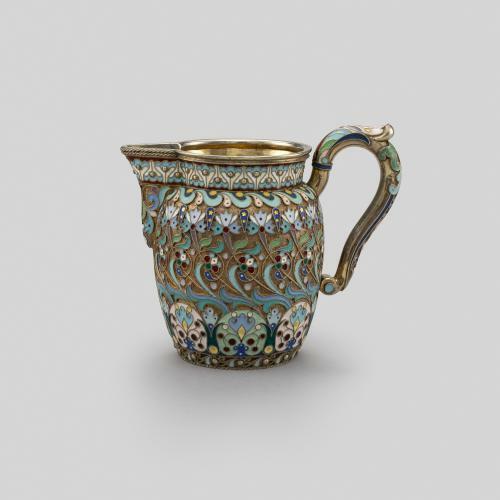 Between 1849 and 1853 Fedor Solntsev, a young graduate from the Academy of Arts in St Petersburg, produced a six volume catalogue examining native Russian art from the 11th and 12th centuries, which encouraged this enthusiasm for Byzantine and traditional Russian styles.